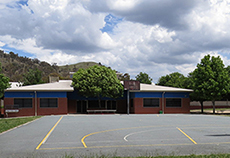 The Year 5/6 students of Theodore Primary School are encouraged to demonstrate and apply their developed literacy, numeracy and leadership skills by leading the school and their peers in programs such as Leaders, school buddies, school sports captains, Student Representative Council and library monitors. Students in Year 5/6 have the opportunity to apply to be a part of the Instrumental Music Program which offers the development music skills in a ukulele band. The students continue to engage in their learning through inquiry based projects, extending their skills and knowledge as problem solvers.